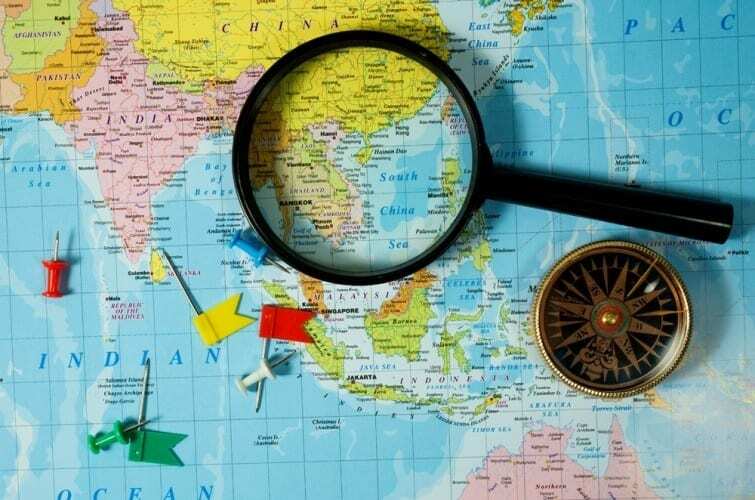 The overall annual growth rate for international visitors into 40 Asia Pacific destinations is estimated to have been around 7.8 percent in 2018, generating an inbound volume of around 688 million for the year – almost 50 million more foreign arrivals than in 2017. According to the Executive Summary of the Pacific Asia Travel Association (PATA) ‘Asia Pacific Visitor Forecasts 2019-2023’ released today, 40 destinations within Asia Pacific collectively are predicted to show an average growth rate of 5.5 percent per annum between 2018 and 2023, to host close to 900 million foreign visitor arrivals in 2023. Asia will continue its strong growth momentum with an expected annual average growth rate for foreign visitor arrivals of 6.2 percent between 2018 and 2023, while the Pacific and the Americas follow with average growth rates of 4.4 percent and 3.1 percent per year respectively, over the same period. Driven by its strong average annual growth rate, Asia will receive the bulk of the foreign arrivals between 2018 and 2023. After capturing a relative share of close to 74 percent of foreign arrivals in 2018, the proportion into Asia is expected to increase to over 76 percent by the end of the forecast period (2023). The impact on the Americas and the Pacific is a slight contraction in their respective relative shares from 22.4 percent in 2018 to just under 20 percent in 2023 for the former, and from four percent to 3.8 percent for the latter, even as their respective numbers of foreign arrivals increase. Asia will also be the strongest generator of foreign arrivals into Asia Pacific over the forecast period, improving its relative share of arrivals from 63.9 percentage points in 2018, to over 66 percentage points in 2023. Intra-regional travel flows remain important for both the Americas and Asia, with the former destination region seeing over three-quarters of its foreign arrivals originating within that region in both 2018 and 2023. Similarly, for Asia, where intra-regional travel flows will increase in relative terms, from almost 94% in 2018 to over 94% by 2023. The Pacific destination region differs, in as much as more than half of its inbound international visitor arrivals originated in Asia in 2018 with that proportion forecast to increase to around 57% by 2023. Even so, the intra-regional flows from the Pacific to the Pacific remain significant at over 30% in 2023. He further adds, “Once again, we need to be mindful of the fact that in delivering positive and memorable experiences to a rapidly changing inbound market mix, we need to maintain a service ethic and mind-set that is consistently superior and at the same time, tailored to the very different needs of an increasingly diverse range of visitors”. Furthermore, Dr. Hardy noted that, “In developing a service mindset we need to ask ourselves are we preparing to welcome 898 million foreign arrivals into Asia Pacific in 2023, or should we think of that instead, as one very special visitor, 898 million times. Your perspective on that can make all the difference”.